This is a series of three 5 mile races for club members taking place in the summer months. In 2018 they will be held on 28 May, 25 June and 30 July. 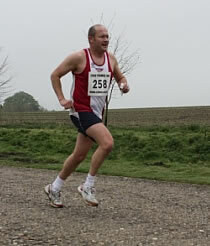 All races start at 7.00 at the level crossing at Wymondham Abbey station and finish in Lady's Lane. Register (free) from 6.30 in the meadow just by the railway. There are awards for the best improvers throughout the series as well as prizes and spot prizes for each race.